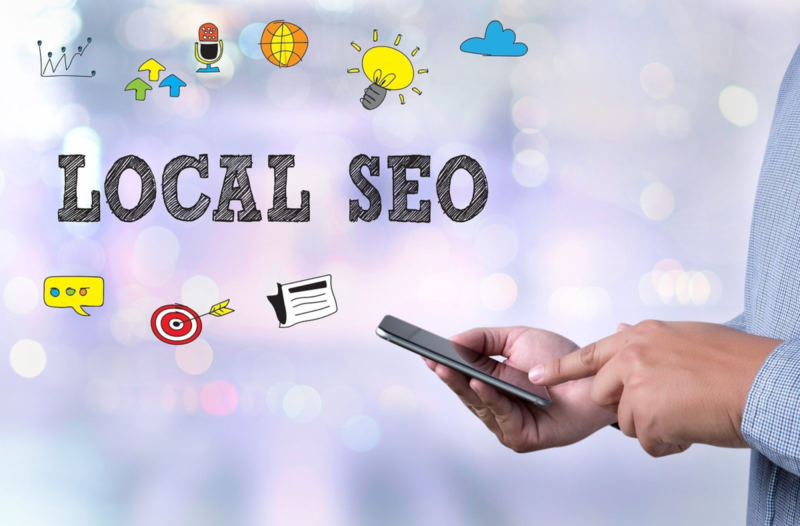 In simple words, Local SEO is the tactic of search engine optimization, which helps websites to appear in Google’s top search results in a particular location or area. If implemented properly, it helps companies to beat the competition & earn plenty of business opportunities every day, week, month & year. If you seriously consider changes in the mobile use for Internet search, local SEO is something that should be taken seriously particularly when your bread and butter comes from a specific area. It is one of the best SEO tools for all those digital marketing professionals who are involved in the SEO work. With its help, you can easily automate the process of updating your location data without requiring any human intervention. It also enables you to make improvements in your content and get it published automatically on your landing pages. It is an all-inclusive local listing management tools that deserve your attention. Apart from this, this tool automatically suggests you about the places where you should list your business to complement the local SEO practices and gain more business opportunities. This amazing tool has a number of features, such as discover create link opportunities, monitor local search rankings by the city, options to get customer feedback and online reviews and many more. By using this tool, you can easily beat the competition and win the game of local SEO. To attract the maximum amount of quality web traffic seems to be the main purpose of SEO. But, always keep in mind that business success is not measured only by traffic. You need to have a solid plan to turn visitors into premium customers. If your business involves frequent phone calls to potential customers, then you must be knowing how important it is always to be in touch. With the help of Google Voice service, customers will be able to reach at your products and services via a single number. This tool will combine all available lines, allowing you can listen to voice messages and call abroad at low rates. For most people, the benefits of this tool are not immediately clear. The possibilities of Google Alerts become available when you become totally familiar with the service. It gives you important notifications about your competitors. Based on specific settings, you will have automatic notifications about competitors and launch local SEO activities accordingly. It is a fairly effective tool for all digital marketing professionals. Google Trends provides them an opportunity to learn about popular topics. Apart from this, with the help of “Actual Queries”, you can enter into the search an arbitrary keyword or topic name and see how they are performing. If you have a blog for social networking websites, using Google Trends, you can easily find out what’s happening in the social media world and do SMO for your local business accordingly. Always keep in mind that local SEO is becoming a serious business all around the world. Especially, small companies that are focused on the local audience simply need to build a reliable strategy for website promotion. The starting point of this strategy is most often the My Business tool- wherein a description and other information about the company is added so that potential customers can easily find out everything they need: time of work, address, and telephone numbers. As per a data, 50% of users who access sites from mobile devices go to the stores of these companies on the same day and make transactions if they are satisfied with the offered products. As a business owner, you must always keep in mind that Adding business information to Google My Business is not a guarantee of high traffic to your site or offline store. It only helps users to find you both online and offline easily. If you want to get speedy success in local SEO, it is very important to create and distribute video. Using YouTube as the main video marketing resource has many advantages as YouTube has the largest user base among all video sharing services. Apart from this, popular videos on YouTube is often ranked high in Google search results. So, when struggling to push your site to the top of the rankings, your YouTube videos can be a helping hand for you. With this approach, you know that you can show your content to a whole audience of people who are interested in what you want to say. When you perform local SEO for your brand and expect more business opportunities from a specific location, you need to use certain tools. Some of them are mentioned here below. Go through them and use any tool as per your need. Robert Sumner works as a writer for Media Fortress, an SEO Agency in Australia offering cost effective custom web designing and Digital Marketing services in Australia. He is a web addict and spends too much time in front of the computer. When he actually manages to get away for more than 10 minutes, he is usually reading books, traveling or shooting photos. For more blogs you can follow him on Facebook, and Twitter. Previous Previous post: What Do 1800 Toll-Free Service Providers Do?